I believe everybody who had the sour-sweet experience raising their own business from scratch will agree that this more or less comes to take the time, thoughts and efforts close to raising a child and it's cherished pretty much the same way. Let's face it – there is pretty much of everything out there and when I say out there I mean not only the real world but also its digital reflection – the web where in time we got to looking for pretty much everything. Truth is when we (or at least I) come to be in need of a solution, advice or a service we don't go out on the street looking for it and more and more rarely call a friend asking for an advice but rather look it up the net taking the particular businesses web appearance and the way it gets showcased on its site as the leading (and often the only one we can get from our desks) factor for our decision to have any further interaction with these guys or not. So I guess it turns out in order a new business enterprise to be successful it needs of course at first place to be proposing something needed and useful for the people – that's the most important part. But about as much important nowadays is the product or service being proposed to be also properly presented in the most easily accessible place for the ones which could possibly be interested in it – the net. 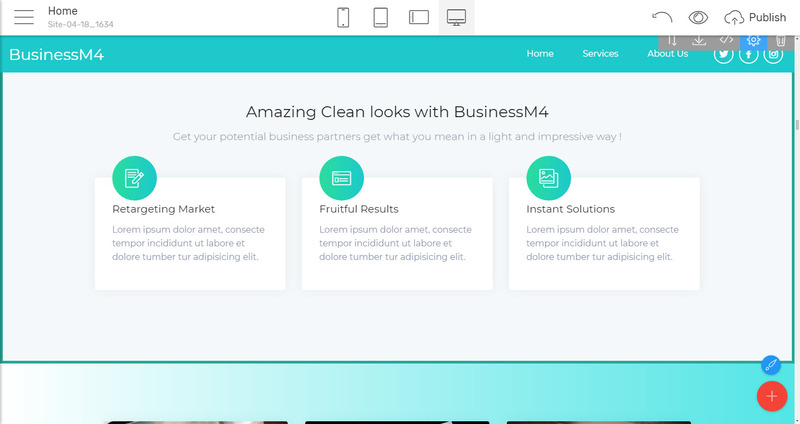 Like it or not – having a clean straightforward and informative website sometimes makes the difference between the success or failure of a business. However, especially as it comes to startups each cent matters. Quality web design services sometimes come to be a bit more expensive than a business just making its first steps can afford. Additionally, along with the funds spent on hiring an agency inevitably come the hours spent in explaining the brilliant concept you have thought to complete strangers leaving the meeting wondering if they actually got what you mean thinking "I wish I could have done it myself". Good news is actually you can! 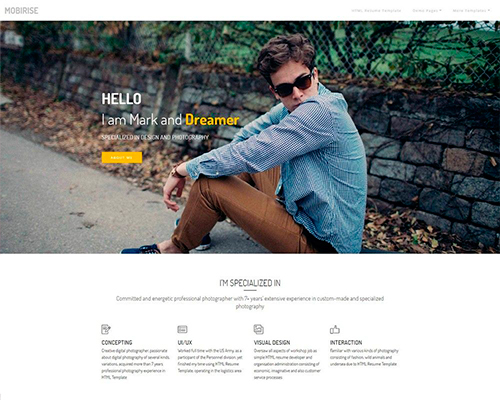 No matter the level of computer literacy you possess, as long as you are capable of sending an email and typing down your slideshow presentation, there is now a tool making it possible to create stunning professionally looking websites using only these skills! 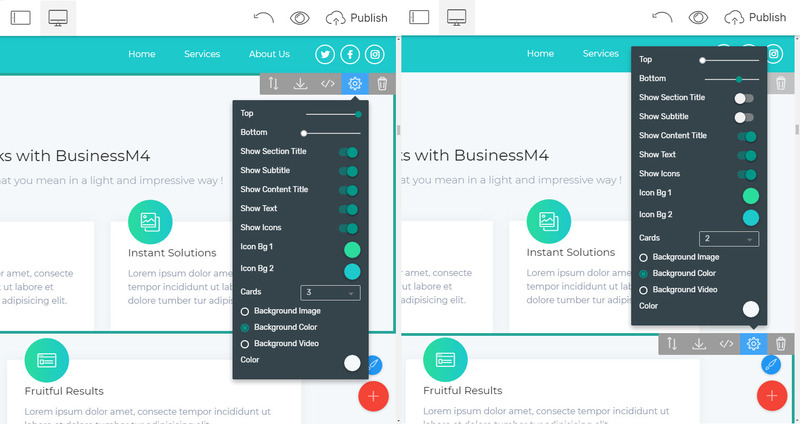 The tool I'm talking about is called Mobirise Mobile Web Builder and believe it or not with it almost anyone is capable of building a website utilizing only regular office work skills – like typing and browsing for images. The interface is very easy and intuitive and the pages get built by drag / dropping some cool predefined blocks from the palette at the places in the site where you want them to be. 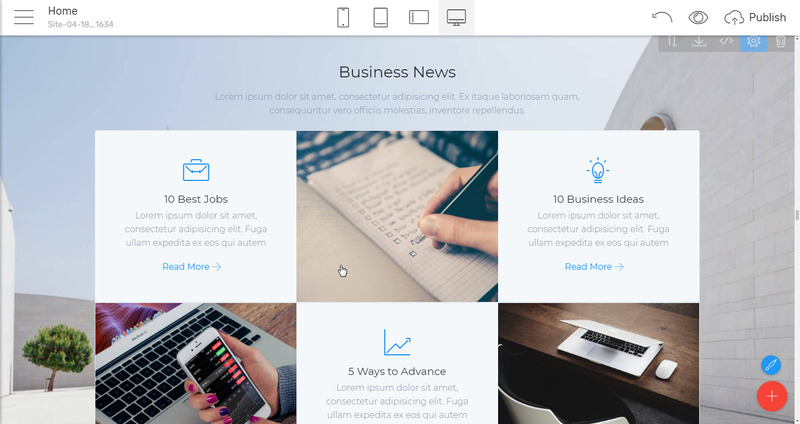 Once dropped each block comes with an easy to get around Properties Panel where pretty much everything about it can be adjusted – from having either a solid, image or video background to which elements to be taking place in it and which – not to. All the work gets done entirely offline on your computer and the generated web pages work as well when viewed from your hard drive and once uploaded on the server. It's actually not only easy but fun and a bit addictive at the certain point. 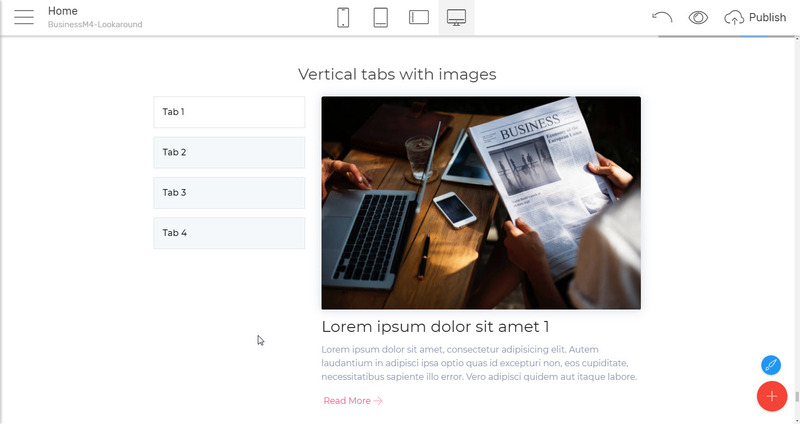 With the help of the Mobirise Builder, anyone can create a web page easily and it will also automatically adapt to any screen it gets displayed on but is this all there is about this mysterious matter they call web design? The answer is – no, there is much more. You can just randomly throw up some blocks typing the first thing you get in mind and mark this task complete. 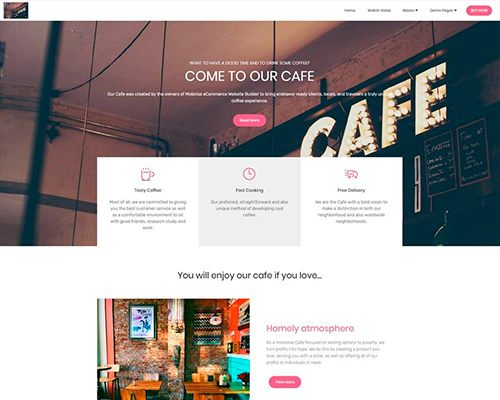 In order to not only exist but work for you, a website needs some more – strong concept to get wrapped around and a proper appearance visually representing the precious info, you have carefully thought and ordered. And while the concept and content are no doubt the most important part (just like the actual product or service your business is proposing) the looks this content has on a page is sometimes the reason the visitors decide to stay a bit longer or browse away checking out the next result in the queue. No one can help you with the concept – you have to figure it out yourself. Pretty often it comes to behave like a living thing, constantly changing and evolving as the time and work advance. This is quite normal and with Mobirise Builder you can always keep it updated in the Net. However how to get to the so desired proper appearance? 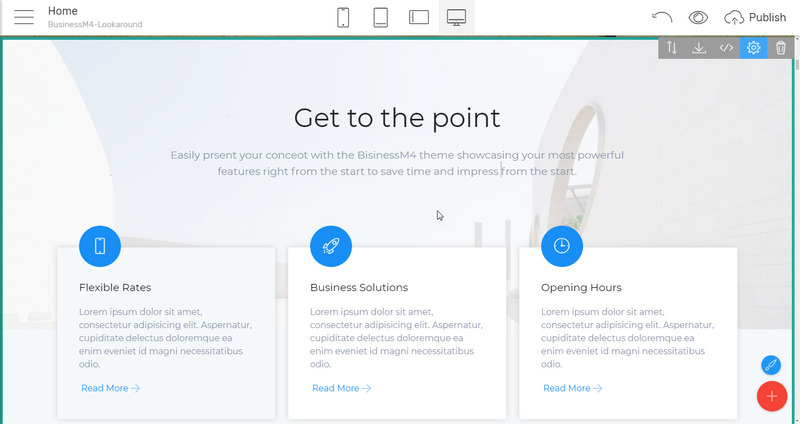 The answer comes to be amazingly easy – using the predefined Mobirise Builder premium HTML templates – cool pack of predefined blocks made by professional design teams for a specific purpose – like presenting a law firm, cafe or a hotel to the public. In order to assist you once again the blocks in a particular premium html theme are all following a specific design line making it easy to present what you have to offer but there is even more – the blocks themselves – the way they have been created, the blocks order in the palette, the options you have available in each block's Properties Panel, and the placeholder text are all actually hints – all made to be pointing you in the right direction, so even if the way you want to structure the info is still a bit blurry to you, you can easily clear it out experimenting with some arrangements, still resting calmly the site has the looks it's supposed to. 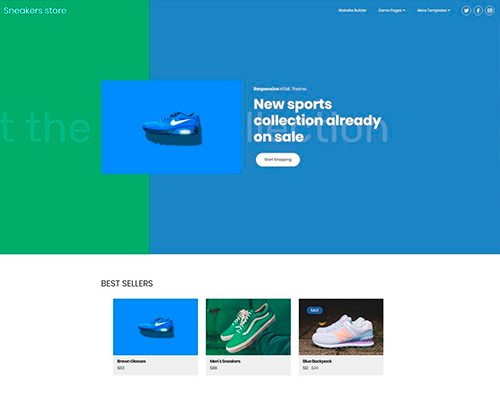 The good thing is the themes and the initial placeholder texts and images are only to be taken as initial guidelines and if you're feeling confident enough you can always go for whatever your great new site should be looking like. 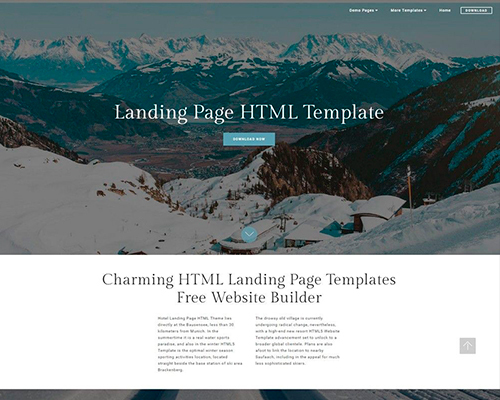 Additionally – the blocks in each premium html template form the most recent fourth generation of the Builder are entirely compatible with each other, so if you need a few blocks from a different premium HTML theme – feel free to save them as user blocks and insert them back in any other, as long as it has the suffix M4 in its name. 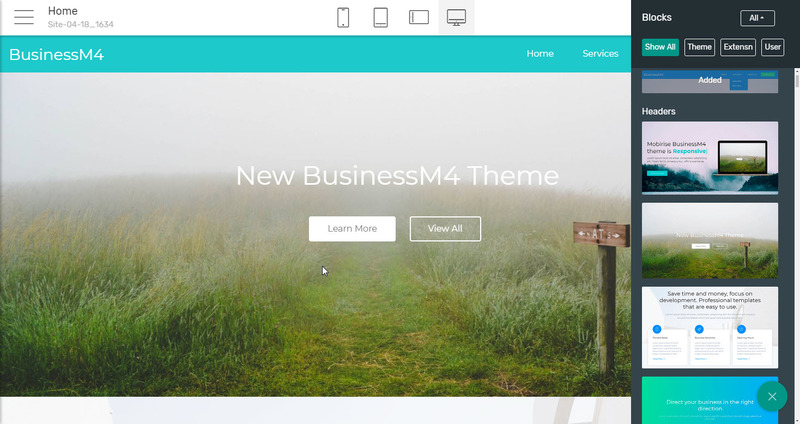 Now after the launch of the v4 of the Mobirise Mobile Web Builder application, we witnessed quite a few amazing themes aiming to be representing a particular type of cool enterprises – like creative agencies, law firms, hotels and cafes, online stores etc. and they are all brilliant and appealing. But when it comes to the world of money there is this specific dry and clean straightforward appearance where the content is king but still it has to be presented in a light time, space and attention saving way so if a representative has just a few minutes to take a look at the site he or she to be capable of getting what it's all about right away, find some extra info if needed still not getting either bored or lost somewhere in between some flashy visual effects placed on site just to make it shine. 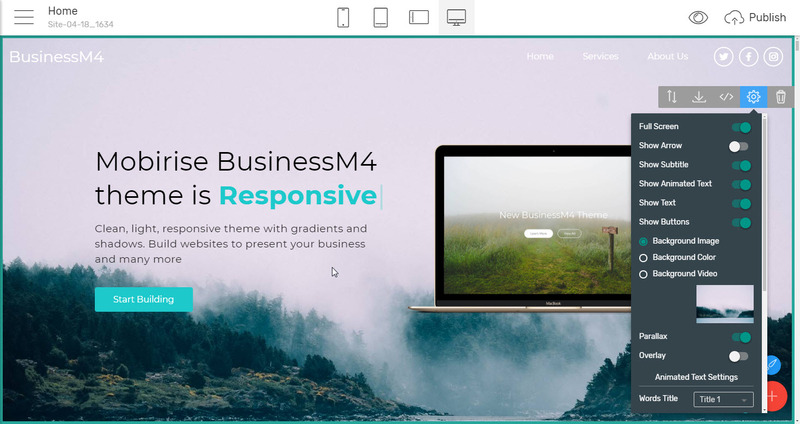 I'm talking about stylish, almost minimalistic beauty still functional enough to provide and colorful enough to refresh without bothering – this is what the BusinessM4 premium HTML template is about: View live demo. 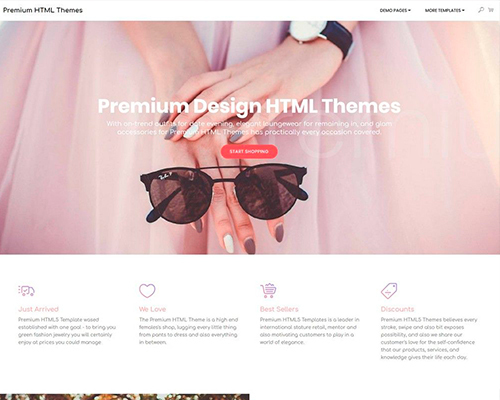 Over here we're going to take a detailed look at his great premium html theme exploring all the cool blocks it holds within along with some of the possible ways they can be used for constructing a clean yet modern and appealing website for the business. To do that we will pretty much trust the order proposed in the blocks palette taking a look at all types of blocks which can be found here and all the cool ways they can be used for achieving a particular goal or another. 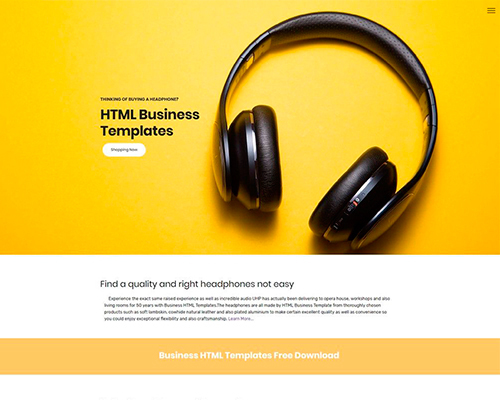 The BusinessM4 premium HTML template proposes is pleasing the eye just enough to make the content easily read and got without the viewer being bothered by too much text or boring dry office document appearance. The free space is often used to make particular snippets stand up and ease the reader. 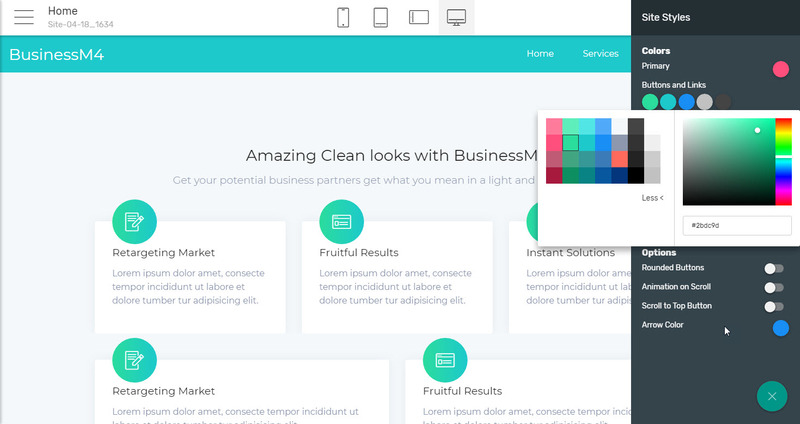 The initial color palette is mild and neutral with pastel colors rather in the green-blue range of the specter which is known to be implying stability and trust and often picked up for the colors of companies and institutions on which the clients should depend. Most of the backgrounds come to be solid as too much imagery might eventually make the page look a bit more playful than required, altering classical white with the three main colors in order to make particular sections stand up. 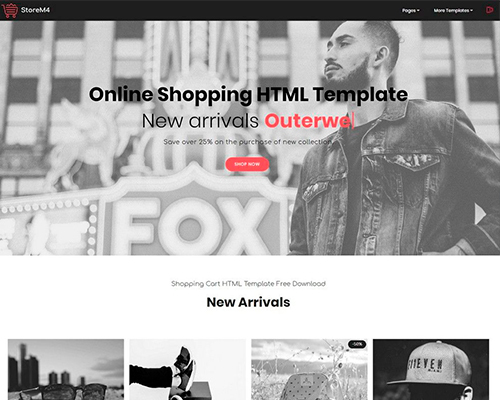 View Creative HTML Templates site live demo. And here are the settings of each of the blocks it consists of. As can be seen, it's just a few simple adjustments making the magic happen. 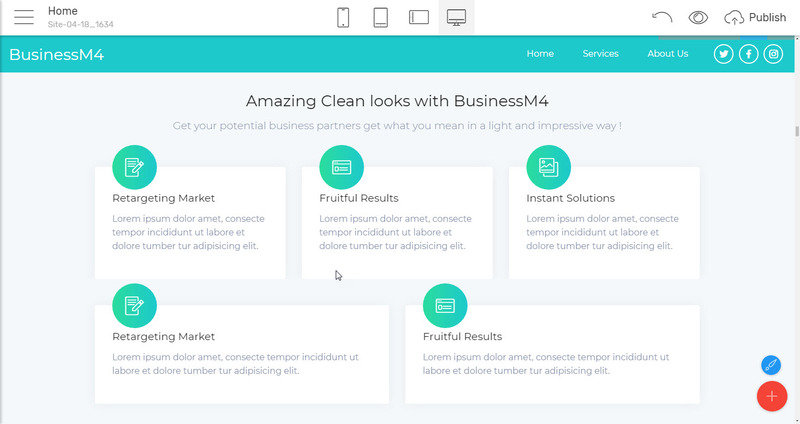 The usage of a bit more special visual effects in BusinessM4 Mobirise Builder premium html theme is really well measured – like you do have the ability to assign some gradients in background color in order to make the site look up to date and professional and the very first header block has this cool option of altering a part of its heading – like it's been typed, erased and retyped again which is a great attention grabber but that's pretty much it. 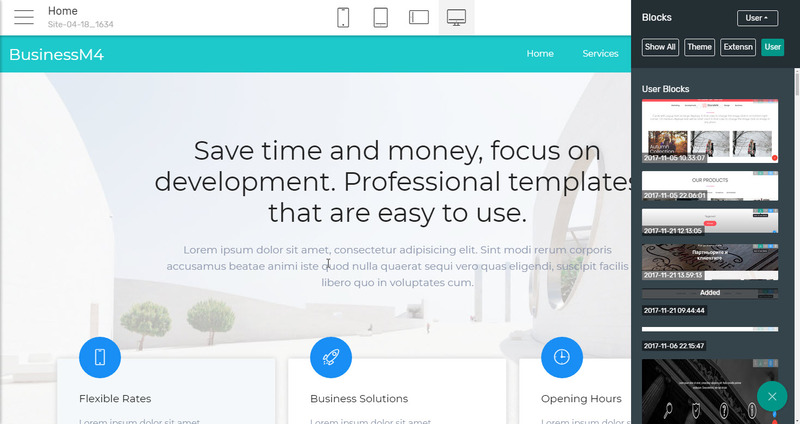 Instead of using complex scripts and effects BusinessM4 premium HTML template bets on beauty and simplicity utilizing a lot of square shapes, circles and round rectangles in order once again to subconsciously speak to the viewer of friendliness, stability and trust with these shapes. 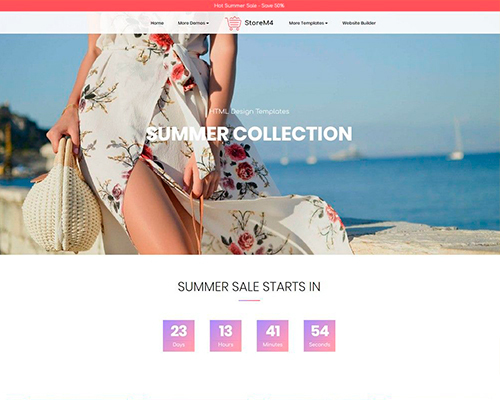 Using just these classical shapes and ordering them in various clever ways the design team behind the premium HTML template manages to achieve amazing fresh appearances keeping the pages light to load even on weaker connections and giving them this everlasting flat geometrical look, which comes to be so popular these days. 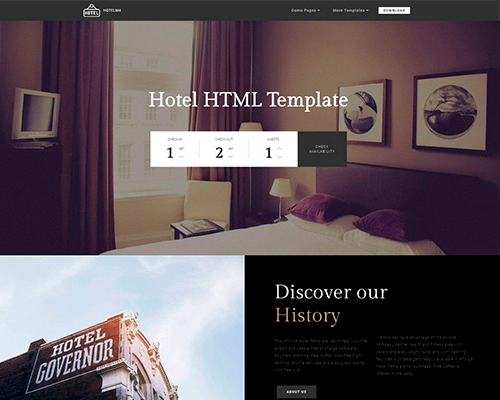 View Corporate HTML template for Travel Agency live demo. 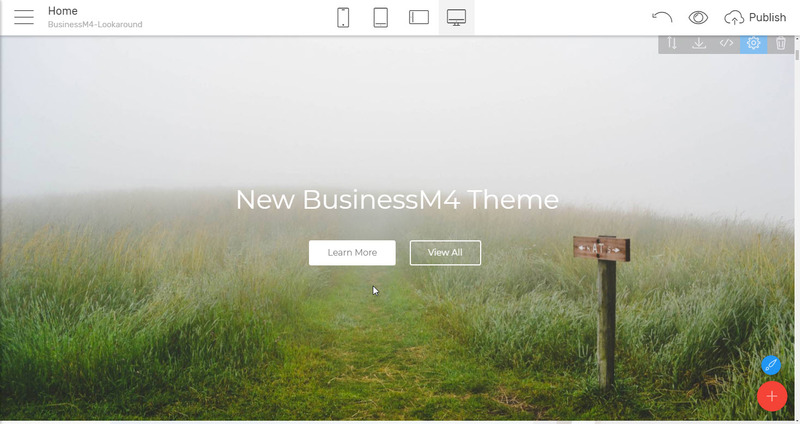 BusinessM4 premium html theme is far from boring though – using just the simple clean forms mentioned, a hand full of creativity and a few clever styling tricks this premium html theme comes fully packed with various fresh and functional implements, like the card overlapping a side image, images – features mosaic (where features also optionally have a leading icon), cool combination between caption and image, horizontally and vertically distributed tabs, each holding a mini-article with a heading image and many more. That's what I actually loved the most in it – the way simple, almost trivial elements are getting gathered and combined in ingenious ways. There isn't much text in those initially and nevertheless you can just click in any text field and start typing as if the Mobirise Builder is your regular desktop text editor my friendly suggestion would be not to since that's not the headers are meant for but rather to just present the essence of what is about to be revealed once the user scrolls down further. These should be rather teasers than details givers and the plenty of free space around the text (combined with the option most of the Headers blocks have to automatically adjust and fill the entire screen of the device on which the page gets displayed) helps keeping the viewer focused exactly on what we need to take out all the possible distraction. Personally I loved this Header block consisting of not only a heading and text but also some adjustable in number cards with icons since it both gives the opportunity to briefly present the essence of what you're doing and line out a few things you're most proud of – kind of one of the plenty features blocks following in the palette but also with the Full-Screen option letting it cover the entire view. There even is a header with the easiest to set up subscribe form ever. You might have heard of or even experienced some trouble making a web form behave once the site gets live on a server. Well – forget about such trouble. Setting up the forms in BusinessM4 premium HTML template and in Mobirise Builder in general comes to be the easiest thing to do – all you need is typing the email address you need the submissions sent to and make sure you've changed the block's caption in a meaningful way – nevertheless if it is about to be shown on page or not since it will be placed in the about field of the submission emails. The whole magic gets possible due to the built-in form handling solution the Mobirise Builder comes packed with out of the box. 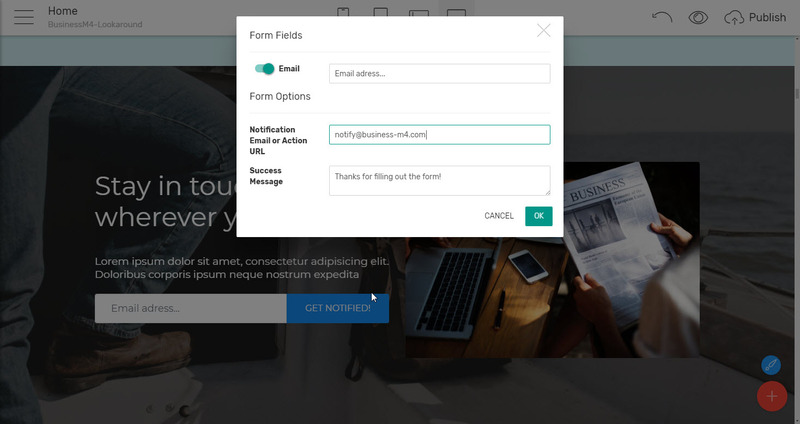 This way forms are not only easy as pie to set up but work beautifully no matter where the actual page containing them is located – on a server, published on your hard drive or even just previewed from your computer's temporary dir – if you have submitted it, the notification email will come.